Astrologer. Tarot. Clairvoyant. Death Midwife. magic. 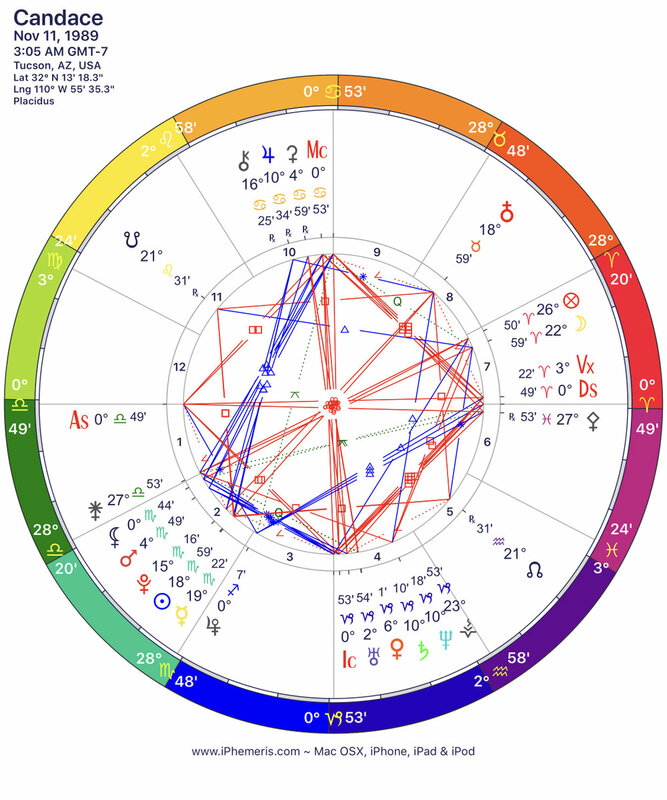 Serving clients in los angles and beyond; digital intuitive astrology readings for clients around the world. Her practice is uniquely curated, with a combination of traditional as well as modern day forms of divination. Her services include but are not limited to; Clairvoyant, Tarot, Mediumship, Evolutionary Astrology, & Past Life readings. Thoroughly skilled in art form of Cartomancy, Candace is renowned for her intuitive approach to tarot card interpretation. Clairvoyance & intuition is the guide for all of her work, including past life & western astrology readings. Candace utilizes the sacred practice of accessing the soul's records with the Akashic records throughout her readings. Her sessions inspire others with their accurate insight & spiritually minded focus. As of recent years Candace has studied herbalism with the sole intent of utilizing the metaphysical and astrological traits of herbs for use in magic. She is traditionally trained in candle dressing & intention setting magic. By applying this to her spiritual work, she's able to not only help identify but treat many spiritual imbalances. Candace is a practicing Reiki practitioner & conducts her own modality of healing, combining spiritual cleansing & magical intent based ceremonies in Ceremonial Arcane Healings. As of 2016 she has become a death midwife, & has dedicated time in spiritually counseling those who are terminally ill & dying. She resides in Los Angeles, California where she has a thriving private practice. Conor Oberst, Fleetwood Mac, Santana, The Bee Gees, and anything hair metal. Beagles. European tarot collectible decks. Practical Magic. eBay’s haunted objects section. Candle making. Taxidermy. Rouge. Honey comb. Slasher movies. Fresh lavender. Anything black lace. I’m currently in the process of recreating Pee-Wee Herman’s bike. Candace practices a variety of modalities, as well as offers different lengths of readings. Stay up to date on her latest horoscopes and metaphysical publishings. From love to prosperity, she does it all. Click here to start the process.